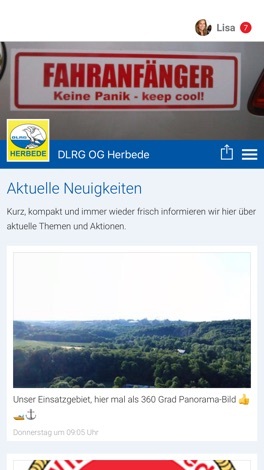 Informations App für Mitglieder, Freunde, Interessierte und Sponsoren der DLRG Witten-Herbede e.V. 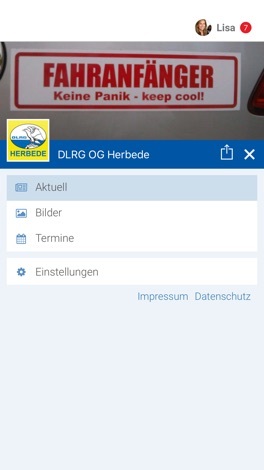 Sie finden hier alles über die Arbeit der DLRG Herbede in den Bereichen Wasserrettungsdienst, Schwimmausbildung, Katastrophenschutz und Jugendarbeit. Aktuelle Termine gelangen sofort auf das Mobiltelefon. This application is an attempt to capture such insightful text and useful information that constitute daily dosage of wisdom in a sikh's life and turn it into a user-friendly application. It's Holi... The festival of colors. It brings with it utmost joy and warmth, as it marks the beginning of spring. Send good wishes and lots of love to your near and dear ones this Holi with the soulful Holi Greetings, Wallpapers, SMS, and lots more. This is clock application which experiences summer days vicariously. The scenery of a summer reproduced by 3D space brings you presence. By leaning a device, it is the clock App of the magic which can also cause an illusion which is moving completely in the place. A new background can also be purchased. Earn reward points with every purchase with Mama Fu’s Funatics Club. Find the closest location, earn rewards, access menus, and order on your Smartphone all from the Mama Fu’s app. Mama Fu’s Funatics Reward Program -Earn 1 reward point for every $1 purchase. -Every time you spend a $100, you’ll receive a $10 credit.